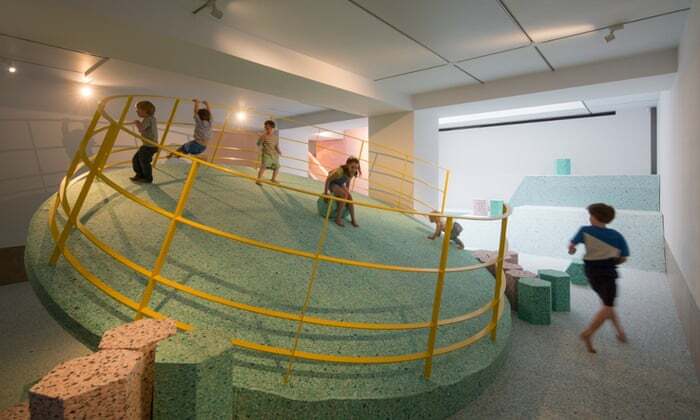 We’re familiar with the sight of brutalist towers in Britain, but less well known are the strange playgrounds built at the same time, which are the inspiration for a new installation at the RIBA by the artist Simon Terrill and design collective Assemble. With their rough surfaces and dangerous drops, these surreal concrete structures were very much a product of their time. 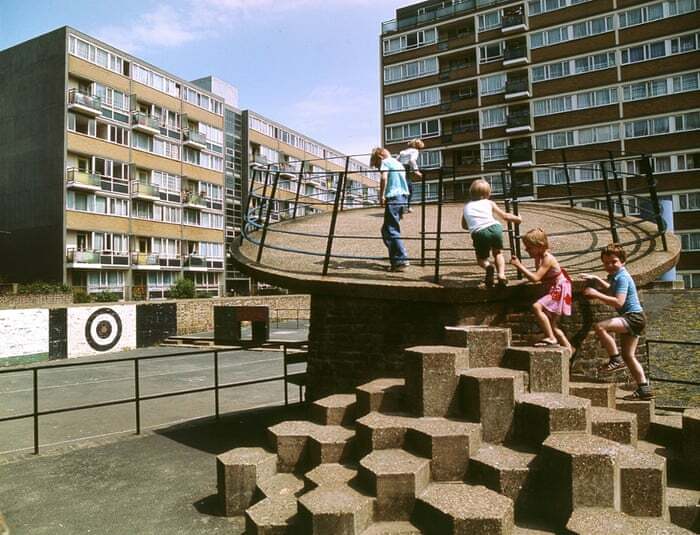 Churchill Gardens estate in Pimlico, London, 1978This playground is on the modernist Churchill Gardens estate designed by Powell and Moya, but clearly built at a later date. 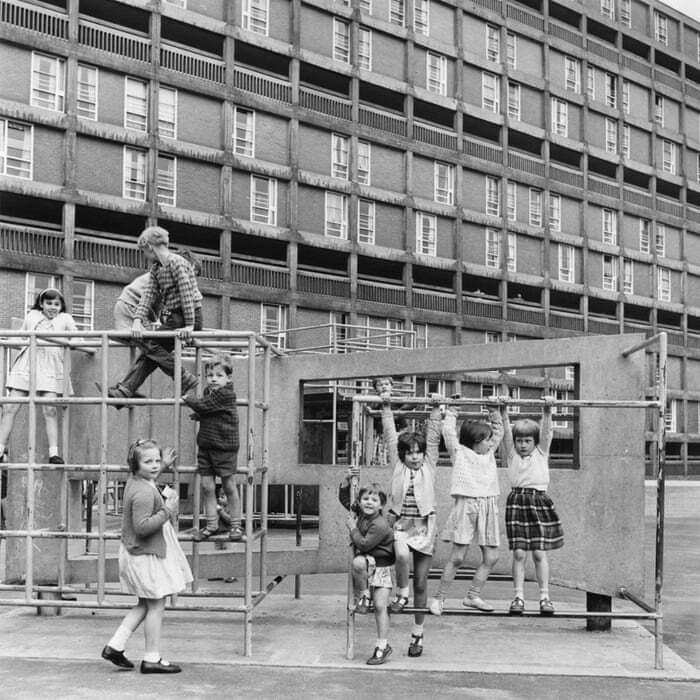 Before these postwar playgrounds were built, children would have been playing in the bomb sites left after the war. It’s possible the architects were referencing that in their design. Churchill Gardens estate, Pimlico, 1956The flying saucer looks like it has crashed and there’s a mysterious cruise-liner chimney. 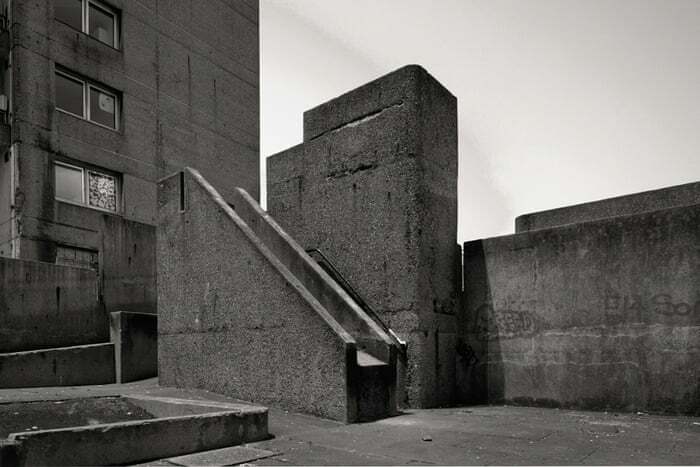 Brutalist buildings are built out of bush-hammered concrete and the playgrounds are made out of the same material. Ernö Goldinger, who built the Balfron Tower, was interested in play and children’s toys. But this playground looks inhospitable. Apparently the slide once had metal on it – now it is just the concrete, so you wouldn’t want to go down it – it would take your skin off. 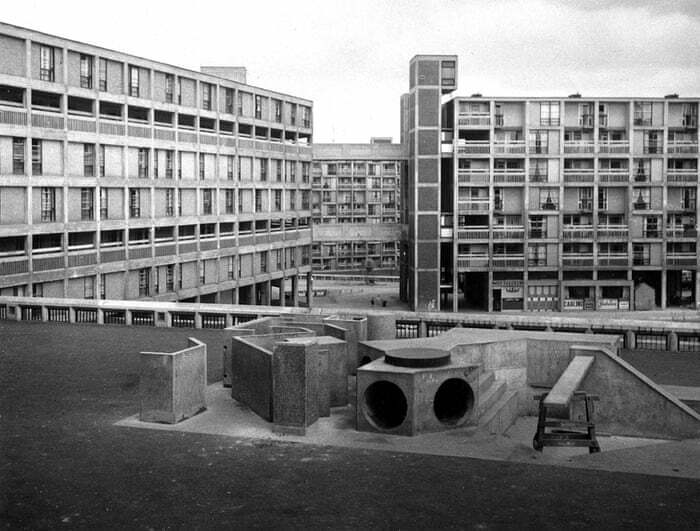 Park Hill estate, Sheffield, 1963Part of the Park Hill estate, designed by Jack Lynn and Ivor Smith, who were tutored by the Smithsons – the founders of new brutalism. The estate was famous for its experimental ideas, like walkways in the sky, and that approach was reflected in the playground. 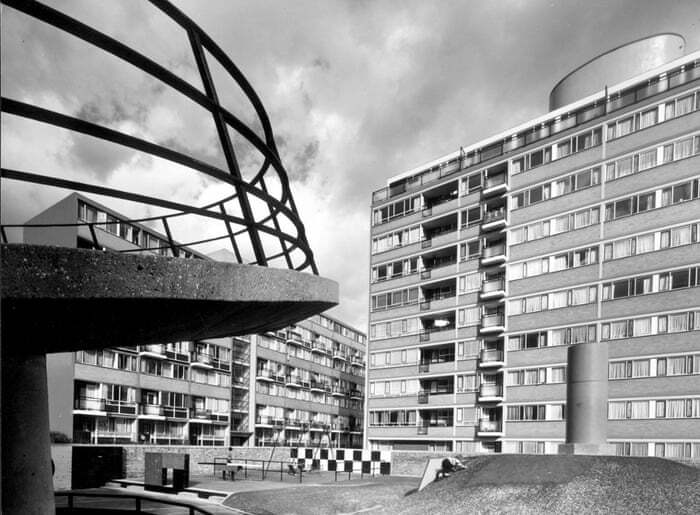 Park Hill estate, Sheffield, 1962The same shapes appear in brutalist playgrounds around the country: hexagons, ramps, holes in walls. The children would have had a very physical encounter with the concrete – crawling over it, feeling it under their hands, grazing their knees. It’s a very different way to experience brutalism than the way most adults did. 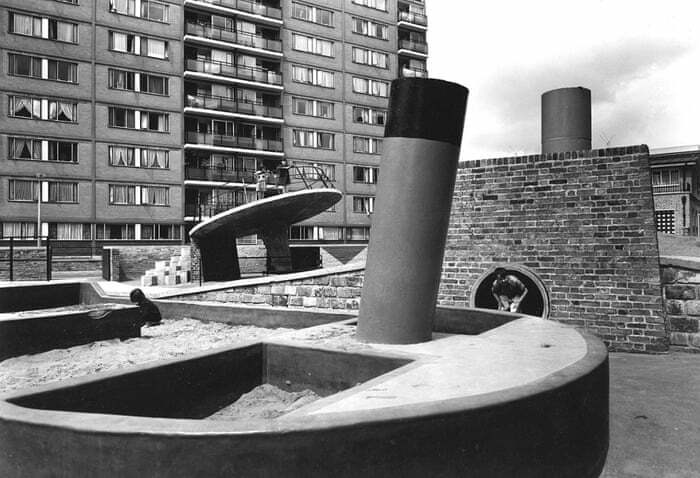 Churchill Gardens estate playground, Pimlico, 1963 These unconventional structures encourage children to take risks, to explore. There is an element of danger which you might not get in soft play areas today. Assemble and Simon Terrill’s foam playground at the RIBA headquarters, LondonWe talked about using concrete, but it would have been impossible in a museum. And it would have been inappropriate for children to play on. So we used foam, which by coincidence has a very similar speckled look to bush-hammered concrete. 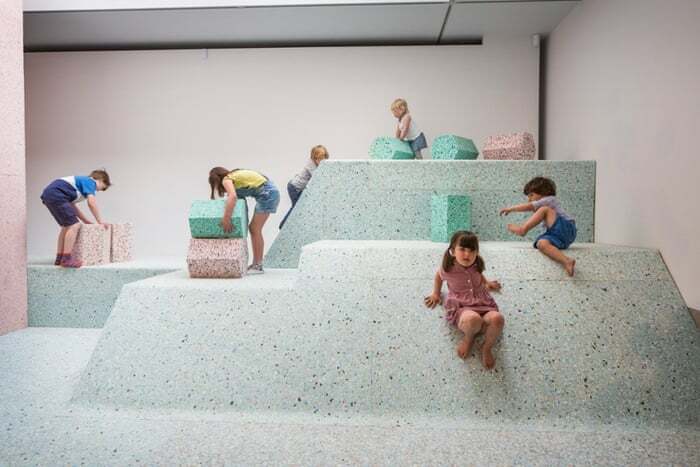 Children playing on Assemble and Simon Terrill’s playground at RIBAThe colours are standard issue, and relate to the density of the foam. Pink foam is denser than blue. The brutalist ethos was to expose the function of a building, and honour the truth of your materials. Brutalist playgrounds were a truth to concrete, ours is a truth to foam.